All too often, consumer-side technology is impractical and toy-like, seeming to exist to fill an imagined need. Some successful companies make charitable moves, but in ways that appear to be after-thoughts and tax write-offs. Occasionally, someone steps up and does the right thing the first time and makes it part of their identity. We were recently introduced to a company called The People’s Operator (TPO) and they are one of those who has social consciousness in their corporate culture out of the gate. I’m excited to be working with them as an ambassador to help spread what they’re about, simply because it’s good. Never heard of them, right? So why would I switch? Easy… they do offer great service and prices, but here’s the thing, TPO donates 10% of each bill directly to a charity you choose at no extra cost to you. As many of you know I have been a supporter of the American Lung Association for years and help to raise funds and awareness for them. By switching my cellular plan to TPO I can support them (or a number of other charitable organizations) just by using my cell phone, which I do every day anyway. Adding some real clout to the social good of TPO is Jimmy Wales, the founder of Wikipedia. He has joined TPO as Chairman and just launched a “global giving platform” where you can spread awareness for a charity close to your heart and help rally the community to support your efforts without having to switch your phone service. This really is a no brainer and I am excited to be one of the first members to join TPO.com. The launch of TPO in America is an incredible milestone for the business. This is only the beginning of the social good we will initiate with the support of our customers and collaborations with additional charities who are joining our goodness movement. TPO puts customers and the causes they care about first, so the more we can facilitate the company’s growth in the US, the more funds we will be able to pass to the communities that need it while our portfolio of cause partners continues to grow. Of course, the entire argument falls apart if the hardware and service do not meet the user’s expectations. 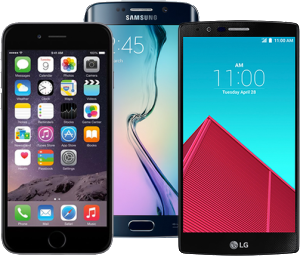 With a wide selection of the latest smartphones using both iOS and Android operating systems, the hardware side of the equation is clearly solid. Supporting the bandwidth side in the US is bandwidth from the robust Sprint network. Previous Previous post: Knocki, Knocki, Who’s There?